The Windows Mail shortcut can be found directly in the root of the Start Menu. Click on it and Windows Mail will be launched. 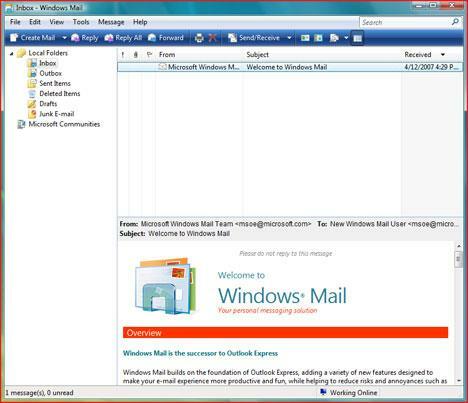 Windows 10 no longer has a program called Windows Mail. Mail application in Windows 10 is simply called "Mail". You can access it by clicking the search icon in the bottom-left corner of the screen and entering "Mail" in the search box. 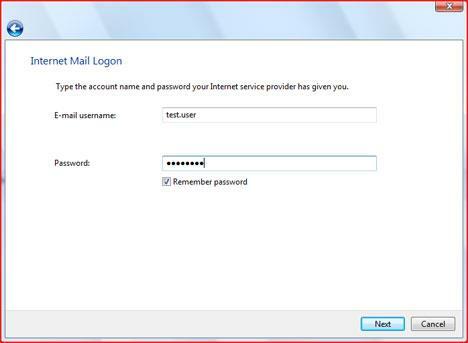 If you start Windows Mail for the first time, a wizard will pop-up asking you to configure your mail account. If not, you can start it manually. Just go to the Tools menu and choose Accounts. The Internet Accounts window will open. 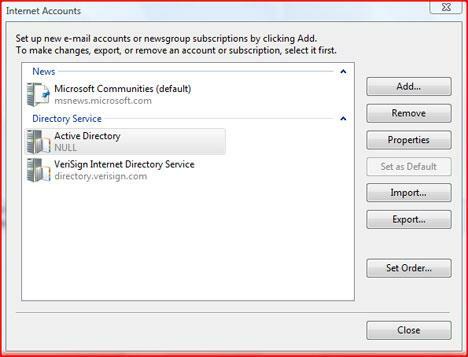 Here, click on the Add... button and then, from the list of account types, choose E-mail Account. You will need to know what connection settings to use. Go to the help pages of your e-mail provider and search information about how to access your messages using an e-mail client. Usually most mail services use POP3 as the protocol for retrieving your e-mail. Search for the words POP or POP3 and you might find the information you need. The e-mail configuration wizard is now started. In the first window type your name in the Display name field and press Next. In the second window, the wizard will ask for your e-mail address. Type it and press Next. 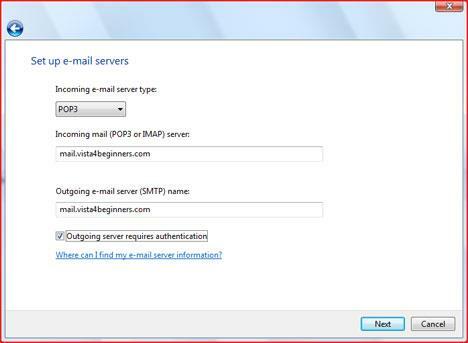 Now you will have to choose which type of e-mail server you are using: POP3 or IMAP. After that you need to type the address of the POP3 or IMAP server. Then you need to type the address of the SMTP server. Most of the times, these servers have names like "mail.mymailserver.com". If your SMTP server requires authentication, check the appropriate option. When all the required fields are completed, press the Next button. Now you have to type the login details: username and password, and check the Remember password option (if needed). When finished, press the Next button. 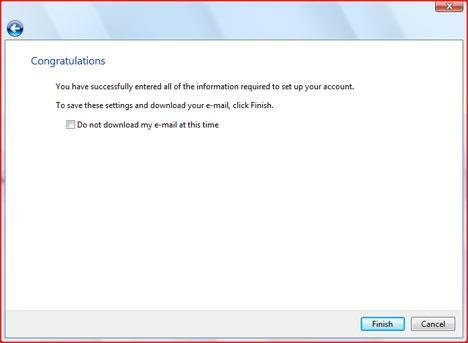 In this last window check the "Do not download my e-mail at this time" option (if you don't want your e-mail downloaded immediately) and then press the Finish button. 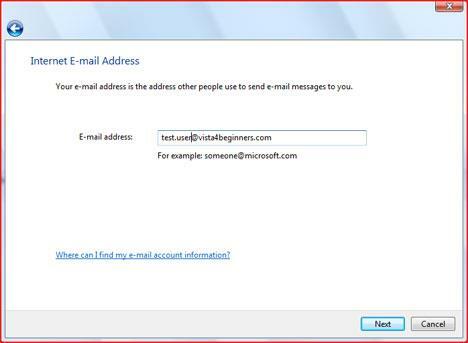 Windows Mail will launch and you will be able to check your e-mail. Even though the interface has changed and has a modern look compared to Outlook Express you will be able to use it with no difficulty. Most of the configuration options and menus are the same and even if you have some problems working with Windows Mail, the help button is always very useful. Why does Windows Mail Run in the Background sometimes? Sometimes when I pull up the processes in task manager I see that WindowsMail is a running process.... funny that is because I've *never* used it, I use Outlook 03. When I end the process tree, nothing negative seems to happen and it goes away. What gives? Why is it starting in the first place and is there a service in services.msc that I can disable to safely disable this without any adverse affects on my system? Thanks! When I type in my user name & password I get an error box so I just X it out. Then I get an error box which I also X. Then I can use windows mail. I guess I have the wrong user ID and/or password. My question is how can I cange the user ID and password so as to avoid all these error messages. I'm not too conputer savy, so will need instructions for Dummies. hello my windows vista has corrupted . 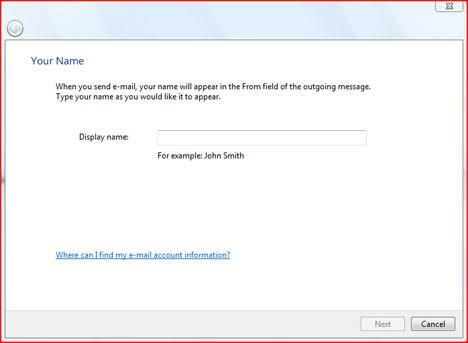 so now i am using windows xp how i can retrive my windows mail to outlook express.